Bill Browder doesn't understand why Trump won't criticize Putin. Bill Browder, who alleges he has been threatened by the Kremlin, said he doesn't understand why President Donald Trump refrains from criticizing Russian President Vladimir Putin. "It just makes no sense," said Browder in an interview on ABC's "The View" on Tuesday. "It doesn’t serve his political purposes. It's not like his base loves Russia. And neither does the Republican establishment love Russia," Browder said. "It makes no sense unless there's some other information we don’t have available to us." 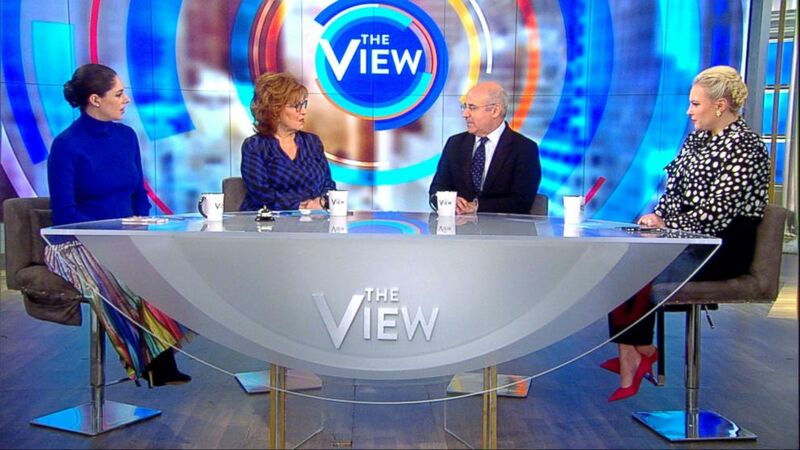 (ABC) Bill Browder appears on "The View," Jan. 15, 2019. Browder, an American-born hedge-fund manager, was in the spotlight when Putin suggested at the Helsinki Summit in July that the U.S. trade Browder in exchange for 12 Russian intelligence officers accused by special counsel Robert Mueller of hacking into the Hillary Clinton campaign and the Democratic National Committee. 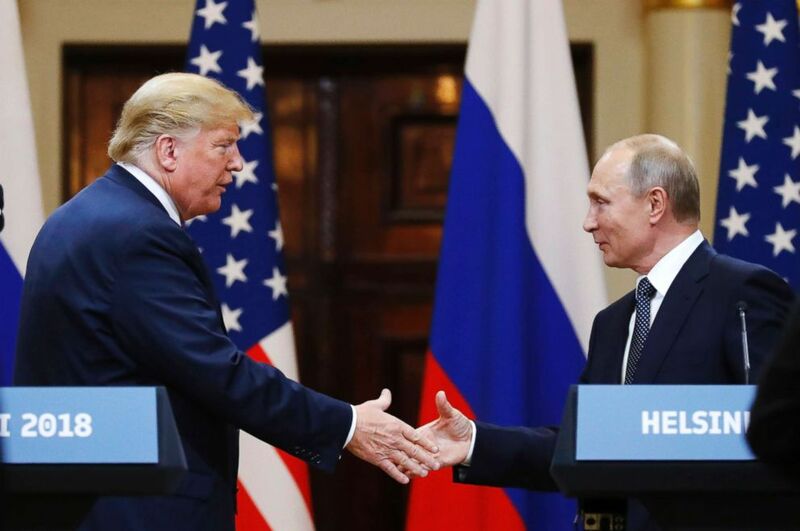 At the time, President Donald Trump called the suggestion from Putin that the U.S. and Russia collaborate in handling international prosecutions an "incredible offer." The White House turned it down. Browder, the CEO of the investment firm Hermitage Capital Management, said he was unnerved by Trump's characterization of the offer. "I thought to myself this guy... is either very stupid — not having been briefed about my story because my story is all over the place — or there's something wrong in his head because to hand me over to the Russians is about the worst thing," Browder said. (Alexander Zemlianichenko/AP) President Donald Trump shakes hand with Russian President Vladimir Putin at the end of the press conference at the Presidential Palace in Helsinki, Finland, July 16, 2018. The Helsinki Summit wasn't the only time Browder's name has come up. In June 2016, the Russian lawyer Natalia V. Veselnitskaya, who has since been charged with obstruction of justice, met with Trump's son, Donald Trump Jr., his son-in-law Jared Kushner and then-campaign chairman Paul Manafort. In the Trump Tower meeting, Veselnitskaya sought to discuss U.S. sanctions against Russia, a policy staunchly opposed by Putin’s government, and the Kremlin’s response prohibiting Americans from adopting Russian children. Trump’s team of aides in the meeting appeared to be baffled by her focus on this, instead of the promised dirt on Clinton, according to testimony released by the Senate Judiciary Committee about the meeting. Now a British citizen, Browder has led a human rights campaign in honor of Magnitsky, who died after being detained in a Russian prison for exposing a $230 million corruption scheme. In 2012, Congress passed the Magnitsky Act, which freezes the assets and bans the visas of human rights violators. "Vladimir Putin hates this more than anything because his own money is at risk," Browder said. The Kremlin retaliated by banning U.S. adoptions of Russian children in 2012. The ban is still in place. Since Magnitsky died, Browder said he has spent nine years following the money and finding out where it went. Money leaves an "indelible trail" Browder said. "So far we’ve not seen any overlap between the Magnitsky killing and the money laundering connected to that and the Trump campaign," Browder said. "But we found a lot of other overlap. In fact, we found that Vladimir Putin got some of that money, which is why he hates me so much." Browder has been accused of being behind the tax fraud Magnitsky uncovered and has been labeled a criminal by Russian authorities. Interpol, the international law enforcement agency, has rejected Russia’s warrants for Browder’s arrest, and he faces nine years in prison there. "I don’t live in fear," Browder said. "You cannot live in fear, because if you live in fear, they’ve already got you."